Four members of the Marist Brothers of the Schools who have served locally are marking significant anniversaries of their entry into the community. Brothers Gerard Cormier is marking his 75th year as a Marist Brother; Brothers Stephen Bosco Wang and Aquinas Richard are each celebrating 70 years, and Brother Eugene Birmingham is a 50-year jubilarian. Brother Gerard Cormier, F.M.S., entered the Marist Novitiate in 1943 and professed his first vows on July 26, 1944. After completing a bachelor’s degree in English at Marist College, he began his teaching career at St. Joseph H.S., Lowell, Mass., in 1948. He also taught and was a track coach at Cardinal Hayes, the Bronx, 1951-58, and Archbishop Molloy H.S., Briarwood, 1958-91. During his retirement years, he has become a prominent artist and continues to paint and teach art. He professed his final vows in 1949 and the Vow of Stability in 1961. 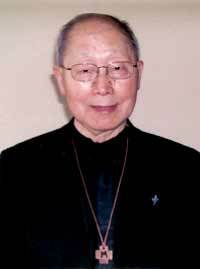 Brother Stephen Bosco Wang, F.M.S., entered the Marist Novitiate in 1948 and professed first vows on July 26, 1949. After completing a bachelor’s degree in English at Marist College, he began teaching at St. Francis Xavier School in Hong Kong in 1954. He also served as a deputy principal at a Catholic School in Sibu, Malaysia, 1961-65. He returned to the U.S. and resumed his teaching career serving at Christ the King R.H.S., Middle Village, 1965-69; Marist H.S., Bayonne, N.J., 1969-77; and Cathedral H.S., Boston, Mass., 1977-2002. He earned a master’s degree in English from Marist College in 1957, a master’s in school administration from NYU in 1972, a master’s in math from Arizona University, Tucson, in 1973 and his doctorate in school administration from NYU in 1978. He professed his final vows in 1954 and the Vow of Stability in 2002. Brother Aquinas Richard, F.M.S., entered the Marist Novitiate in 1948, and professed his first vows in 1949. 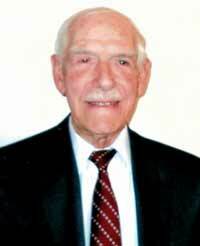 After completing a bachelor’s degree in biology at Marist College, he began his teaching career at Mount St. Michael Academy, Manhattan, in 1952. He also served as a teacher and track coach at St. Mary’s H.S., Manhasset, L.I., 1956-60, and at Archbishop Molloy H.S., Briarwood, 1960-2018. 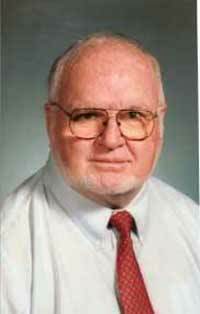 He earned his master’s degree in biology from Fordham University in 1959. He professed his final vows in 1954, and professed the Vow of Stability in 1964. Brother Eugene Birmingham, F.M.S., entered the Marist Brothers’ Novitiate in 1968, and professed his first vows in 1969. 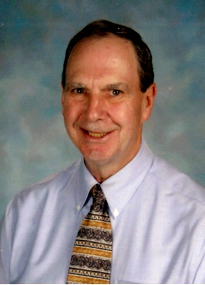 After completing his bachelor’s degree in history at Marist College, Poughkeepsie, he began his teaching career at Mount St. Michael Academy, Manhattan, in 1971. He served as both a teacher and counselor at Regina Coeli and St. Joseph elementary schools in the Mid-Hudson Valley area, 1976-78. He went onto teach at Marist H.S., Chicago, Ill., 1978-86; Mount St. Michael Academy, 1986-89 and 2001-08; and then Central Catholic H.S., Lawrence, Mass., 1989-92 and 1996-2001. He also served at St. Agnes H.S., Manhattan, 1992-96; and Archbishop Molloy H.S., Briarwood, 2008-18. He earned a master of religious education degree from Loyola University, Chicago in 1984, a master’s degree from Manhattan College in 1986 and a master’s in applied psychology from Manhattan College in 1994. He earned his Ph.D. from Manhattan College in 1998, a master’s in literacy training from Mercy College in 2007 and a master’s degree from Fordham University in 2013. He professed his final vows in 1977. Congratulations to Br. Eugene Birmingham on your 50th Anniversary as a Marist Brother. You were a wonderful colleague when I was a teacher at Archbishop Molloy High School, always a kind, compassionate Christian gentleman. God bless you Br. Eugene! Thanks for the kind words. As an educator and witness, you cared and inspired so many at Archbishop Molloy High School. I was always amazed by your excellent teaching and relational skills.